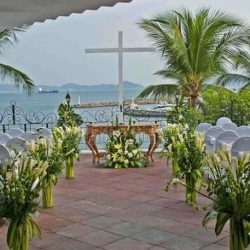 Manzanillo resorts are located just below Puerto Vallarta in Mexico and are truly a quaint place for a destination wedding. You will be around beautiful landscapes and plenty of activities for all of your wedding guests. If you are looking for a place that isn’t as busy but still has all have the amenities you are looking for, take a look at some Manzanillo resorts. You might be wondering what Manzanillo has to offer for excursion and a bit of adventure for you and your guests. Something that is fantastic about Manzanillo is the ecological reserves that have turtles, iguanas, and all kinds of reptiles. The best part is that you will be able to ride a boat along the mangrove vegetation at the swamps. If you have guests that are animal lovers, sports fishers or enjoy golf, we will have no problem finding you a perfect resort. Liz Moore Destination Weddings has put together the top Manzanillo resorts that we highly recommend. 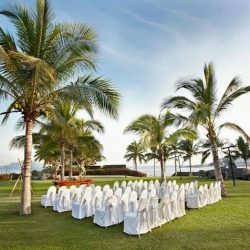 If you are interested in celebrating your wedding in Manzanillo, don’t hesitate to look through these resorts and ask us any questions you may have. We are here to help when you need us, that mean day, night, and even weekends. 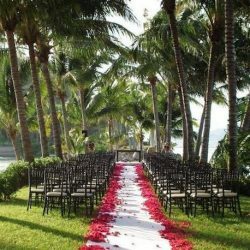 We can’t wait to start planning the wedding of your dreams in a beautiful paradise. Below are samples of Manzanillo resorts that we recommend.